Photo: Richard Lane/Richard Lane Photography. Wasps v London Irish. Aviva Premiership. 21/12/2014. Wasps' first game at the Ricoh Arena as their new home. 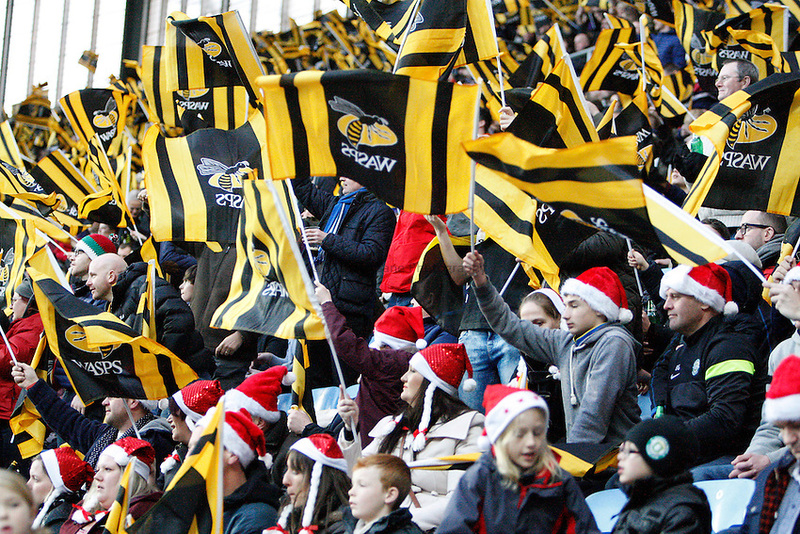 Wasps supporters.